Mom, the Intern: Girls in STEM: A Snapology Franchise Giveaway! Girls in STEM: A Snapology Franchise Giveaway! This giveaway is a partnership with Nakturnal. All opinions mine. Growing up, my parents never discouraged me from math, science or tech -- educational pursuits typically geared towards boys. In 6th grade, I was selected with a few of my peers to be a Mathlete in district-wide math competition. In high school, I took honors math and chemistry and AP physics, and I was also the Physics Club president my senior year. And when I took the ACT before applying to college, I scored highest in -- you guessed it -- science and math. So, yeah ... no surprise I was into science-related toys as a child. To me, they were just a way of life, and they were fun. They weren't specific to any gender in my eyes. When my twin brother and I were in elementary school, LEGO® was responsible for quashing the boredom of many summer days for us. My husband Dillon also enjoyed LEGO® toys, K'Nex and other building activities a whole lot as a child and teenager. So naturally, our kids are into the same types of things. We start them out as babies with Megablocks (basically giant LEGO®-like bricks for the little ones) and work our way up to regular bricks by the time they're in preschool. All three of our children -- yes, even our daughters -- enjoy these engineering-themed toys. And I'm a big fan because there's no better way to learn and understand Newtonian physics than by building something with your own hands. Over this past summer, I enrolled my two big kids in a week-long summer camp through the City of Mesa where they got to learn about robotics using the LEGO® Mindstorms system. Audrey and Carson both had a blast building AND programming robots with their peers. Yes, they even learned basic coding! Audrey didn't mind being one of few girls in her age group -- she was actually very excited to team up with the other girls for each of their building activities. Hearing this warmed my heart because I feel it's so important to get our girls involved in STEM (science, technology, engineering and math). Why? According to this CNN article in which a panel of female STEM experts are interviewed, certain toys and games encourage the development of spatial logic and other skills which directly apply to STEM fields. Unfortunately, though, many girls aren't being introduced to these types of toys at a young age like their male peers are, so they are already at a disadvantage by the time they reach school age. They often lose interest in STEM and don't perform as well in those subjects as their male peers as they get older, which means they don't end up majoring in science- or tech-related degrees in college. This is why it's important for parents to provide these educational opportunities for their daughters. 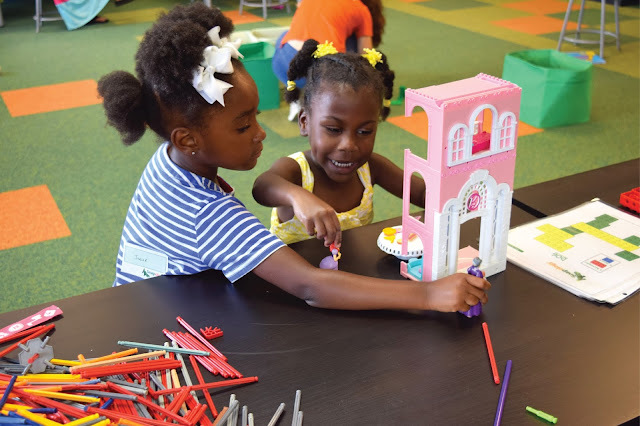 When girls are encouraged to explore subjects typically reserved for boys and men, they will further study them and eventually enter those fields after graduation. And we want more women in science and tech! You know what they say -- two heads are better than one. Gender diversity in every career field makes us all better. When I heard about the Snapology franchise, I thought it was a great way to get girls involved in STEM on an extracurricular level. Schools are increasingly promoting STEM curriculae these days, but there just isn't the time or resources to provide students with hands-on, interactive experiences -- the kind that most effectively teach STEM concepts. Some girls enjoying Snapology at their Pittsburgh location. Photo from here. 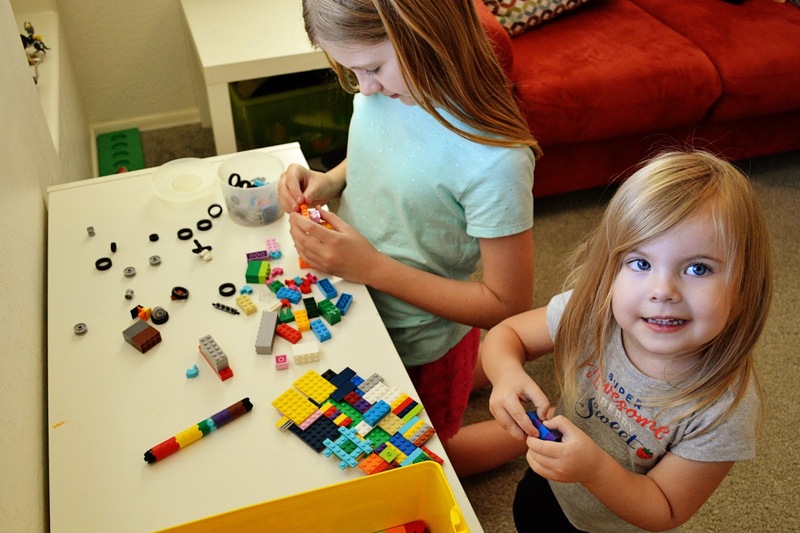 Snapology ensures kids of all ages get lots of hands-on STEM interaction with LEGO® bricks and K'Nex. They offer these experiences through classes, workshops, camps, field trips, Scouting events and even birthday parties (I'm sure my kids would have a total blast at a robotics-themed birthday). They also have programs for video game design, anti-bullying and team-building, and they accommodate kids with special needs, too. And Snapology is fun for everyone -- boys AND girls alike! I would love to see a Snapology franchise location in my area sometime soon. 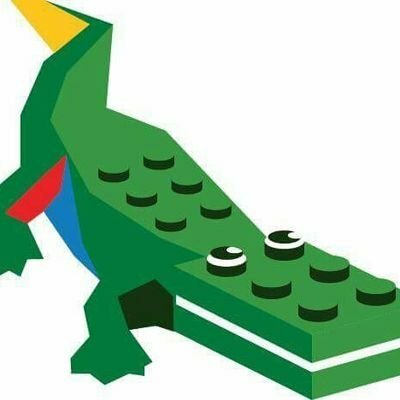 As part of this post, I'm giving away one LEGO® set of the Snapology mascot, Sebastian the Gator (for ages 6+)! All you have to do is comment with your favorite STEM subject from when you were in school -- mine was obviously physics. You can also earn an extra entry by tweeting about it! Use the Rafflecopter Widget below as I'll be using it to determine the winner. Giveaway ends August 24! How timely! I saw a lego classics set on sale today and was just thinking about getting some for Faye. A good amount of my childhood was spent building spaceships and other contraptions with Lego. I am still pretty obsessed to this day (I just wish I could afford more). My favorite STEM class in school was physics. The concepts just seemed to click with me, and my love for science and engineering led me to robotics club, and eventually down the career path I am on (data science). I have been wanting my girls to love Legos like I did as a kid. And I'm not giving up hope. 😉 My favorite subject in all my schooling was always math. Grace loves Legos! She started off with mega blocks and is now in to duplos. I hope she continues to love building because I loved all my Lego sets as a kid and would love to share that with her and Ella. In school I really enjoyed geometry, chemistry and physics. Math for sure! I always really enjoyed it. Statistics and AP Calc were two of my favorite high school classes! Mine was definitely math. I took the AP calculus b/c class in high school and got a 5 on the test. I also loved my AP chemistry class and all the cool experiments we got to do. I definitely want both of my little girls to be interested in math and science like I was! I loved Anatomy/Physiology and Chemistry! Love legos! Always have them around when babysitting the nieces and nephews! my favorite was biology, but I was never a stem fan... my 10 year old is a stem wiz. I loved math! I definitely have a math brain! I liked the geology class I took in college! Biology in high school, statistics in college. Great post, and go Audrey! I always loved math and science! I took advanced classes in both and then in college took extra physics and human anatomy classes even though it didn't have anything I do with my major, because it intrigued me! Love the STEM push for kids! Yes we need more women in STEM fields! And more men too. Science and math were my favorites, so I majored in math. My favorite class in college was discrete math which involved a lot of probability and a project with a rubik's cube. Physics was the most fun in high school. Tell your kids if you major in STEM and do well enough, you can get paid to go to grad school and be in high demand for well-paying jobs. I scored highest in math on the ACT as well. And I just adore algebra and calculus. They make sense to my mind. Now I wondering if I'm encouraging Ellie enough.